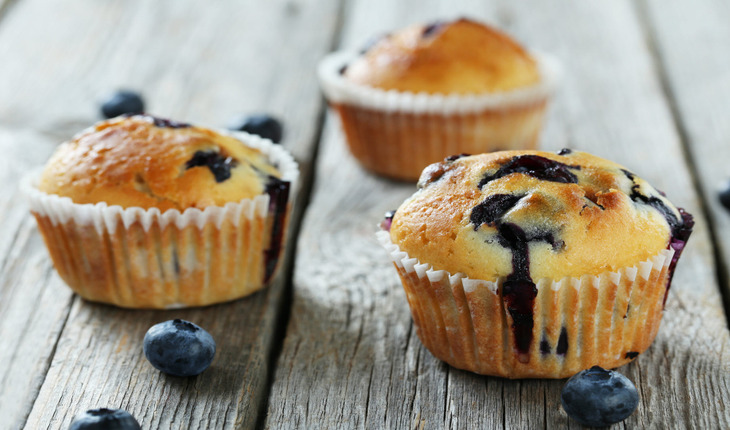 These swoon-worthy blueberry muffins are so flavorful it’s hard to imagine that they’re both gluten-free and vegan! Preheat oven to 350 degrees F. Line muffin tin with paper cupcake liners or spray with coconut oil. In small bowl, coat blueberries with 1 tablespoon of the gluten-free flour blend. Set aside. Sift together gluten-free flour, baking powder, baking soda, and salt. Set aside. In large mixing bowl, combine milk, water, and apple cider vinegar. Let mixture sit for 5 minutes. Then stir in the sugar, coconut oil, maple syrup, vanilla, and lemon extract. While mixing, slowly add the flour mixture. Stir until just combined. Gently fold in the flour-coated blueberries to the batter. Scoop batter into prepared muffin tin and bake for 15-18 minutes, or until golden brown. Remove from pan, allow to cool on cooling rack for several minutes, and then enjoy! Crushed walnuts are a great addition to this recipe!